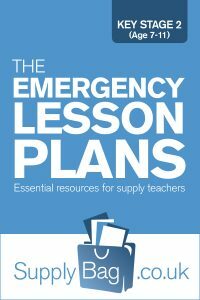 These emergency lesson plans for Year 3 Geography are only to be used by supply teachers who are faced with no planning or easily accessible resources. Also to be used following the guidance notes here. Investigating our local area Where is it in relation to other places? Weather around the world Plan a holiday in a cold place. Locate on a map, how will you get there, what is it like, what will you take with you, what activities could you do that you couldn't do in a hot place (skiing etc.) Children to then design a tourist leaflet for that place, or invitation to a family member to come with them.